Twine is great for a number of uses. It can be used for craft projects, for wrapping presents and parcels and for a multitude of other uses. 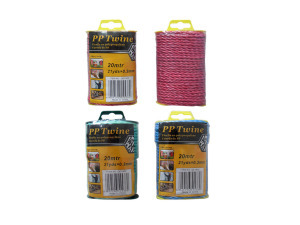 This selection of twine includes three color choices: Red, blue and green. Each roll contains 21 yards.